We chose an 18 gallon Rubbermaid storage box for our new duck nest box. 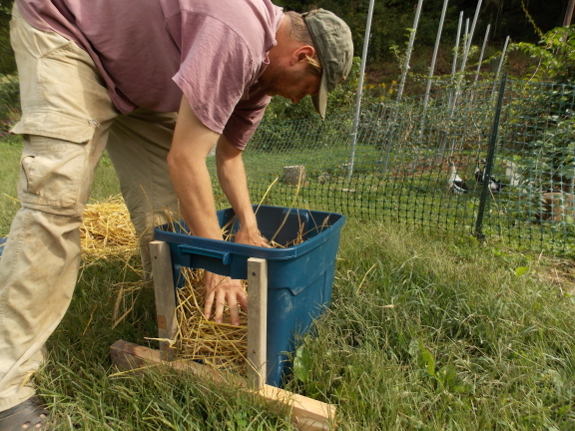 The bottom 2x4 extends out 6 inches past the edge to increase stability and provide a sturdy ledge for the ducks to step on and over to get into the box. Purchase price was 9 dollars and it claims to be crack and weather resistant.